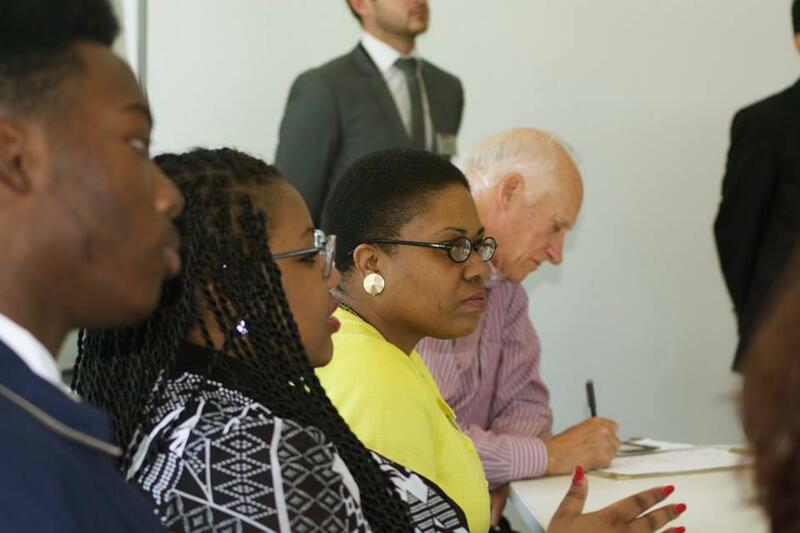 Former high school business teacher and current teacher advisor to the governor LaTanya Pattillo seated next to students in her Innovation, Research and Development class who worked on a project with the manufacturer Ply Gem as part of Patillo's professional development experience with the Kenan Fellows Program. Liz Schlemmer reports on what funding options are available for teachers for professional development. Just as doctors and engineers continue to seek training to keep up-to-date in their fields, teachers too look for ways to stay sharp -- and keep up with the industries their students will enter. However, the funding for professional development for North Carolina teachers is limited. “I was able to get to know the folks who the plant floor and look at what their leaders were doing,” Pattillo said. Then she connected that experience to her curriculum for a business class on research and development. She brought her students to the plant, and created a project-based lesson on quality assurance. Her students used calipers and rulers to test fencing before it went to sale. “They were actually able to build fencing and package it to go out to retail,” Pattillo explains. 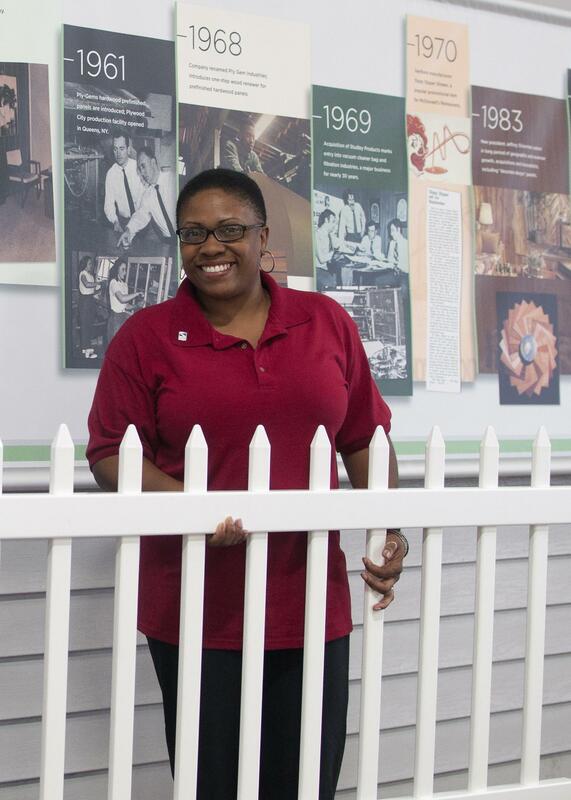 East Columbus High business teacher LaTanya Pattillo holds up a fence manufactured by Ply Gem in Fair Bluff, North Carolina. Pattillo says she might not have thought to do a lesson on quality assurance otherwise, but after spending time at the Ply Gem, she saw it was an important part of the plant’s manufacturing process. Now Pattillo serves as the teacher advisor to Governor Roy Cooper. She says one piece of advice she and other teachers have brought to the governor is that they need help to find and pay for additional training. “Professional development is something that's never going away, and if we want teachers to be effective, we need to give them the support to do that,” Pattillo said. Pattillo’s professional development experience was funded by the Kenan Fellows Program for Teacher Leadership, which supports STEM-focused professional development for 25 teachers in North Carolina each year. But opportunities like that are relatively rare, and statewide funding for educator professional development has significantly reduced in recent years. The General Assembly cut the budget line item for teacher professional development from the state budget during the recession and has never restored it. In 2008, the state budgeted $12.6 million for educator professional development. That line item has been reduced to zero. Now schools might pay for some professional development from other budget areas—like federal funding or state funding to support digital learning -- or teachers can turn to grants. That's where the North Carolina Business Committee for Education comes in. Former North Carolina Governor Jim Hunt first created the nonprofit committee of business leaders to inform education policy in 1983. Its current Executive Director Caroline Sullivan says NCBCE was trying to figure out a way to increase professional development opportunities for teachers and came up with the idea of the Educator Discovery Award. “Our members wanted to find other ways to support teachers. So the main goal is to support teachers across the state, which supports students, which supports the whole state,” Sullivan said. Member companies of NCBCE will contribute money to support the new $1,000 grant. And next year, a committee of educators and business members will pick 6 to 12 teachers to receive the award to fund a meaningful professional development experience of their choice that they can use in their classrooms. To apply, teacher must submit an online application and a short video explaining their ideas. Applications will be reviewed quarterly. Sullivan says the idea originated after middle school teachers at a conference hosted by NCBCE gave feedback about their options for professional development. Pattillo lent her expertise as a teacher to help develop the grant and criteria for winners. Her advice to teachers who want to apply -- be ready to show how your idea will give students work-based learning. “How are you going to connect that opportunity to a real-world experience, that's going connect them to work?” Pattillo poses to grant applicants. The deadline for applications to the first round of grants is January 1. North Carolina educators have marched in Raleigh repeatedly over the years - and most recently in May - to call for better funding for public schools. While the spotlight is often on teacher pay, the full picture is a lot more complicated.